Sometimes I get asked what I do with my folded models. While I don't do this nearly often enough, I do give some models away. 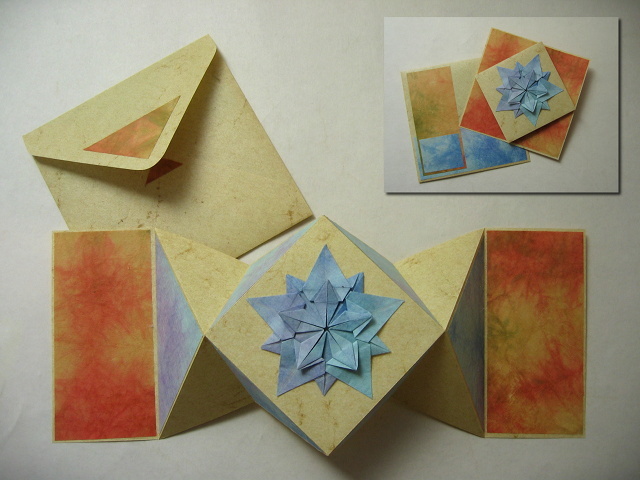 The Sakura Star when folded flat makes a really nice focal point of a greeting card. I also gave away two more three-dimensional Sakura Stars attached to an envelope, which I hand-delivered.